There have been many books written about the history of this beautiful village, as well as useful publications about the local geology, fossils to look out for on the beach, and local walks, including some that follow in the footsteps of smugglers ! Perhaps the most famous author associated with Robin Hood's Bay is Leo Walmsley. His family moved to the village when he was two years old. He grew up with a deep and abiding love for the moors and the coast of the area which expressed itself in his "Bramblewick" books written in the 1930s. These stories immortalised the local fishing community as well as Robin Hood's Bay itself. Several of his books have been re-printed and are available in the village or online. Leo's father, James Ulric Walmsley created 36 watercolour paintings of Robin Hood's Bay that were produced as postcards. These images, each with his identifiable style that has endured for over 100 years, have recently been reproduced in a book featuring all his known postcard images. 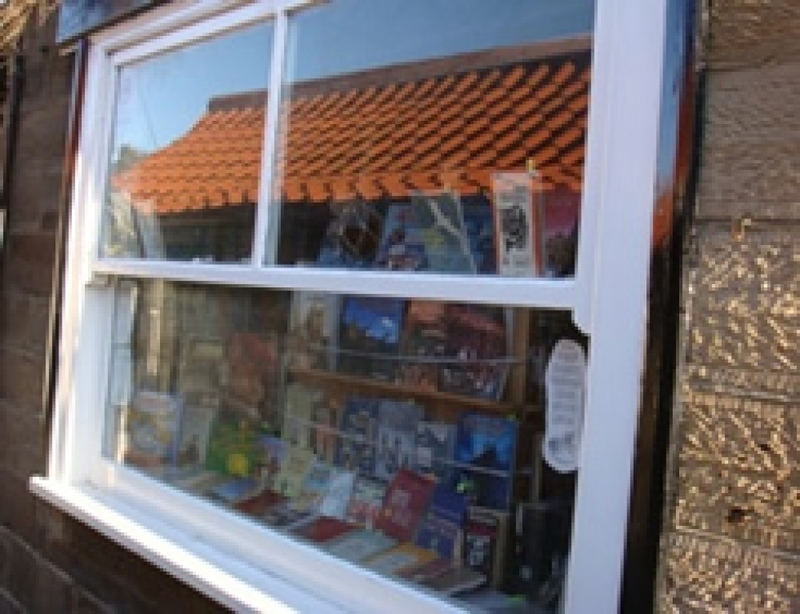 And here is a small selection of the many books and guides that are readily available from the village Book Shop, the Museum and many of the other shops in Robin Hood's Bay.